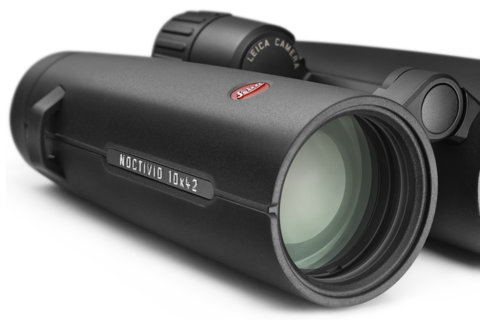 In the Noctivid binoculars, the excellent optical performance that Leica HD-Plus binoculars are known for, has been improved even more. The brilliant image is even sharper and richer in contrast. In addition to the Schott HT™ glass for the prisms, the anti-reflective coatings have been optimised. These coatings are applied on all lenses and prisms in the new high-temperature plasma process. Thanks to all these improvements, the whole visible spectrum of light is transmitted through the binoculars almost without loss. The colour rendition of the Noctivid binoculars is therefore extraordinarily close to the point of absolute colour neutrality (achromatic point).